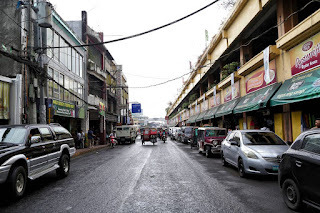 NAGA CITY (Bicol Standard) -- The Naga City People's Mall will see changes as part of its rehabilitation soon, including a banchetto area and multi-level parking space. This was confirmed by Mayor John Bongat in a press briefing on Monday. Bongat said the changes concern the right-wing part of the edifice fronting Naga River. The move comes after the City Engineer's Office discovered defects in said portion and suggested rehabilitation efforts for the area. "The upper storeys of the NCPM will serve as the parking space with the implemention of the ordinance to cater to the traffic issues in the city," the news release from the LGU states. "Other plans in the NCPM include the relocation of the fish section to the ground floor of the area. Other stalls that will be displaced will be relocated in the nearby area. Meanwhile, the riverside portion beside the NCPM will be converted into a banchetto area. Other fastfood restaurants will be allowed to rent other stalls in the area," it further reads.